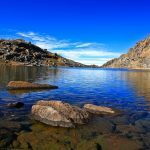 Langtang Gosaikunda trek is a great combination of adventure and pilgrimage as we explore the famous Langtang region and visit the sacred site of Gosaikunda. 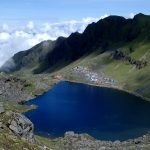 The two- week long trek passes through lush forests, traditional villages, and scenic routes to reach the holy site of Gosaikunda at 4460 meters. 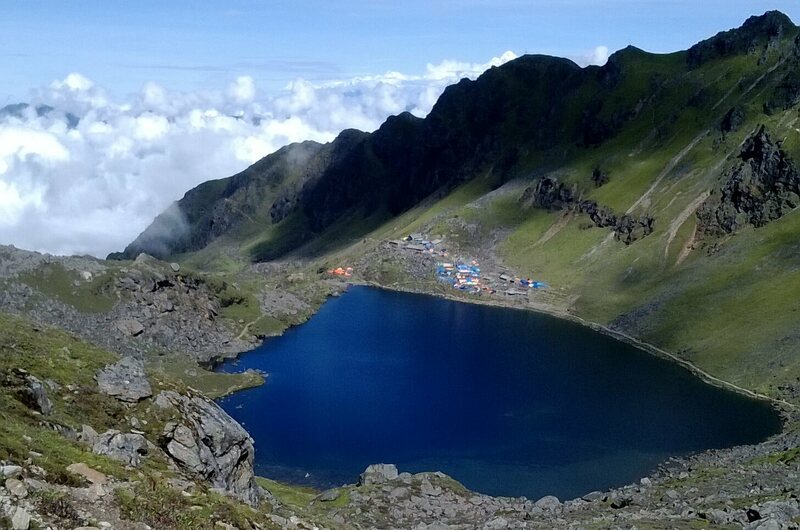 Gosaikunda is a holy site for Hindus and Buddhists alike with the lake believed to have healing powers. 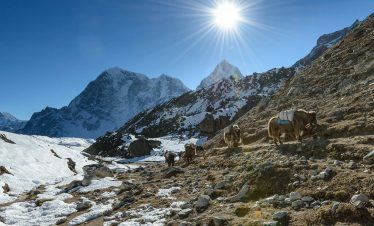 We pass through beautiful traditional villages like Syabru, sparkling waterfalls, and yak pastures throughout the trek. 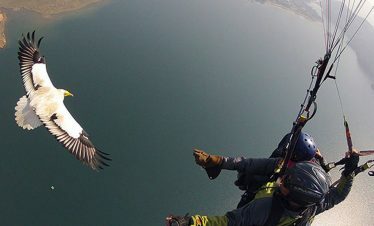 We are blessed with the breathtaking views of the snow-clad peaks, passes, and wonderful landscape of Langtang region. 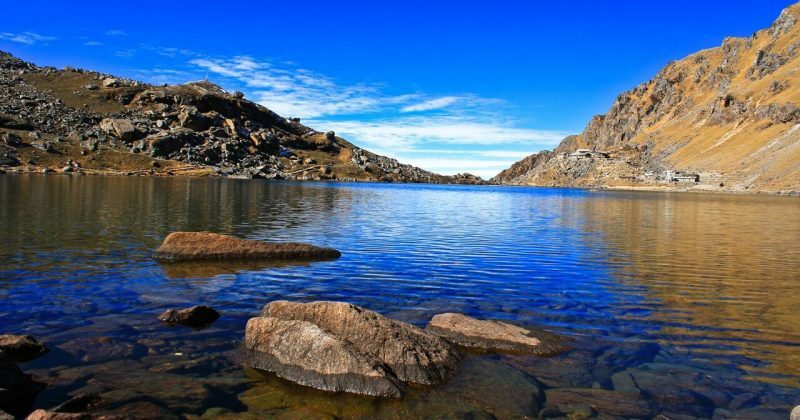 The trek reaches its maximum elevation of 5000 meters at Gosaikunda where we explore the lakes and revel in the formidable wall formed by the mountains all around. 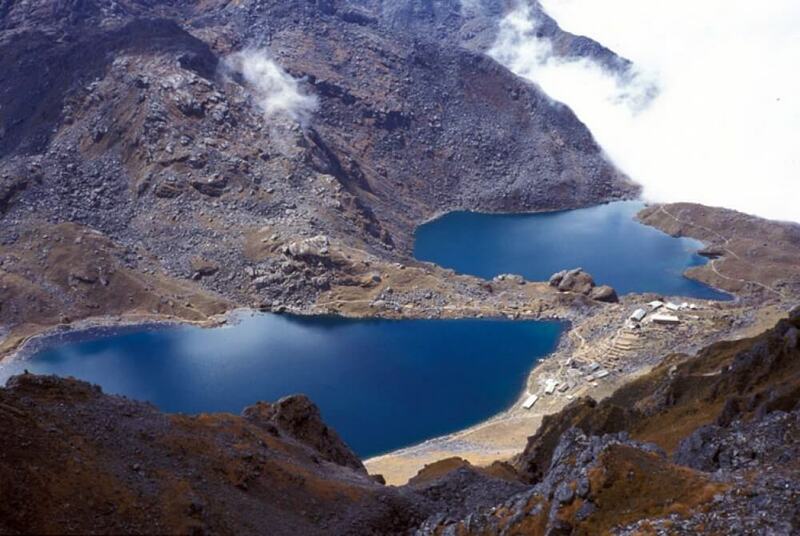 The two weeks-long trek starts from Syabru Besi and ends in Sundarijal of Kathmandu. The trail passes through traditional villages, Gompas, lush forests, and waterfalls and allows a glimpse of the life in the Himalayas. 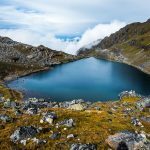 The trek to the beautiful destination is possible throughout the year but trekkers usually avoid the monsoon season that includes months of July, August, and September. 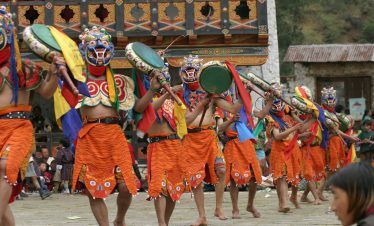 But the month of August sees an incoming of thousands of devotees who visit Gosaikunda during Janai Purnima festival. Day 01: Kathmandu to Syabru Besi. Day 02: Syabru Besi to Lama Hotel. 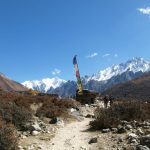 Day 03: Lama Hotel to Langtang Village. Day 04: Langtang Village to Kyanjin Gompa. Day 06: Lama Hotel to Thulo Syabru. Day 07: Thulo Syabru to Shin Gompa. Day 08: Shin Gompa to Lauribina Yak. Day 09: Lauribina Yak – Gosaikunda. Day 10: Gosaikunda to Ghopte. Day 11: Ghopte to Tharepati. Day 12: Tharepati to Gul Bhanjyang. Day 13: Gul Bhanjyang to Chisopani. Day 14: Chisopani to Kathmandu. The trek begins with an early morning drive from Kathmandu to Syabru Besi. After 6-7 hours, we reach Syabru Besi at an elevation of 1550 meters. It is also the official starting point for Langtang region treks. With the majestic views of Manaslu, Annapurna, and Ganesh Himal, we drive along the winding roads till we reach Syabru Besi. It is a small village where we spend the night. The trek starts after breakfast in Syabru Besi. We pass through oak and rhododendron forests with many ups and downs till we reach Langtang Khola. After crossing the river, we make a steep climb that leads us to Lama Hotel. We spend the night at an elevation of 2380 meters. From Lama Hotel, we make an ascent as we enjoy the mountain views and the waterfalls. We reach Ghoda Tabela which translates to horse stables. Langtang range slowly comes into view here. We make a gradual climb as we walk past yaks grazing in the fields. Finally, we reach the traditional village of Langtang with the majestic mountain views. We spend the night here at an elevation of 3500 meters. The day’s trek is short and easy and helps with acclimatization as we cross the elevation of 3000 meters. We pass through Mani walls, chortens, prayer flags, and holy rocks with carvings on the trail. We reach the valley after 4 hours of trekking. In the afternoon, we hike to the cheese factories where we taste the mouthwatering local produce. We also explore the Kyangjin Gompa that has huge religious value to the Buddhists. 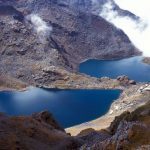 We explore other sites of the valley in the lap of Langtang Lirung. We spend the night at an elevation of 3800 meters. We trace our steps back to Lama Hotel after breakfast. It comprises mostly of descents as we enjoy the Himalayan vistas. Spend the night in Lama Hotel at 2748 meters. The day’s trek first begins with an ascent to Rimche followed by a descent to Langtang Khola. 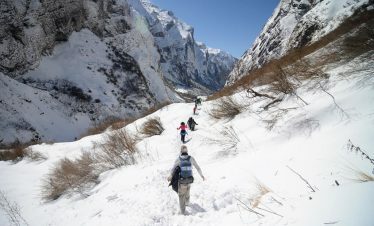 We follow an easy path to Bamboo and then climb up to Langtang lodge. From here, we cross a bridge and then pass a waterfall to reach Thulo Syabru in a while. We spend the night at an elevation of 2230 meters. 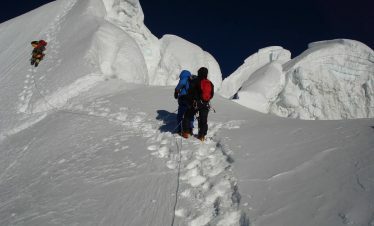 We make a short, slow, and steady climb to acclimatize properly to the higher destinations in the next few days. After a while, we reach a chorten and then a checkpoint. We move to the south and pass through Garta village and Phulung monastery to finally reach Shin Gompa. We spend the night at an elevation of 3330 meters. From Shin Gompa, we head northeast, make an ascent and then cross to the other side of the ridge. 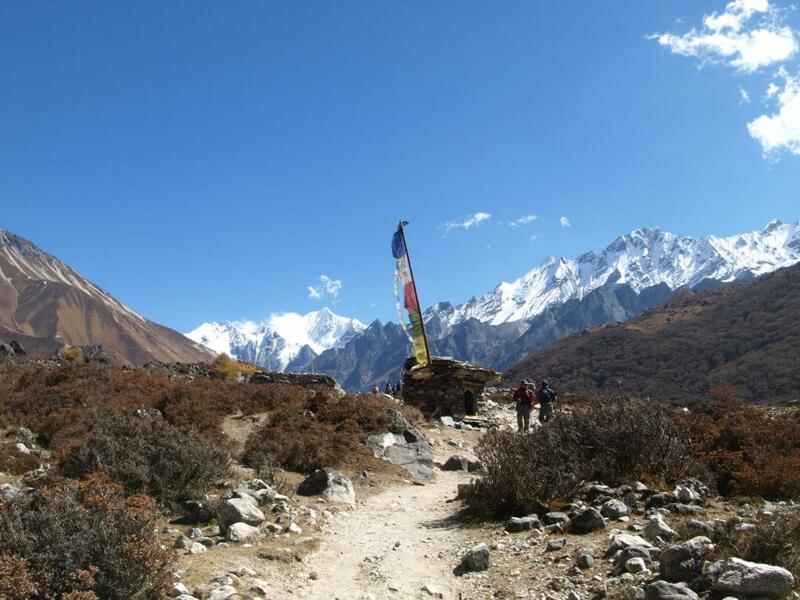 We keep climbing as we pass through the hamlet of Chalang Pati and continue on the trail. We keep climbing for another few hundred meters till we finally reach Lauribina Yak. We get astounding views of majestic peaks like Langtang Lirung, Ganesh Himal, Annapurna, and Fishtail. We spend the night here. From our detour to Lauribina yak, we return back to Shin Gompa and start towards our destination. 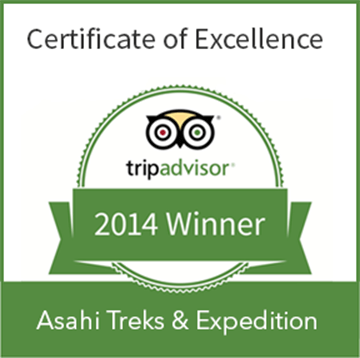 The trail is fun and easy and we enjoy the panoramic views of Annapurna, Manaslu, Himchuli, Ganesh, and Langtang. We pass a ridge most of the day till we see one of the holy lakes. 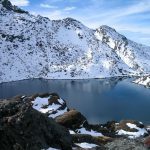 Gosaikunda is the third lake, surrounded by mountains on all sides. 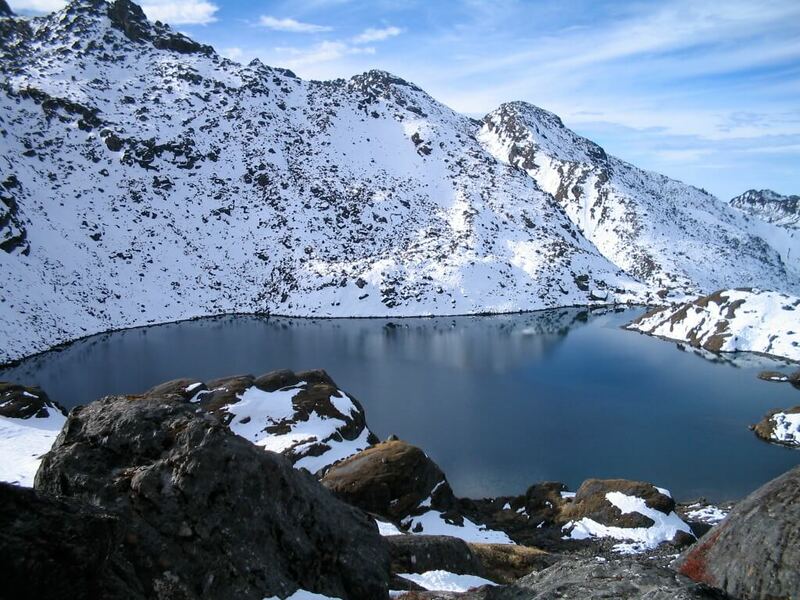 Gosaikunda is one of the most visited pilgrimage sites in Nepal due to its huge religious importance to the people. With a large rock in the middle of the lake that is worshiped as the shrine of Shiva, hundreds of devotees visit the lake every year during the festival of Janai Purnima. 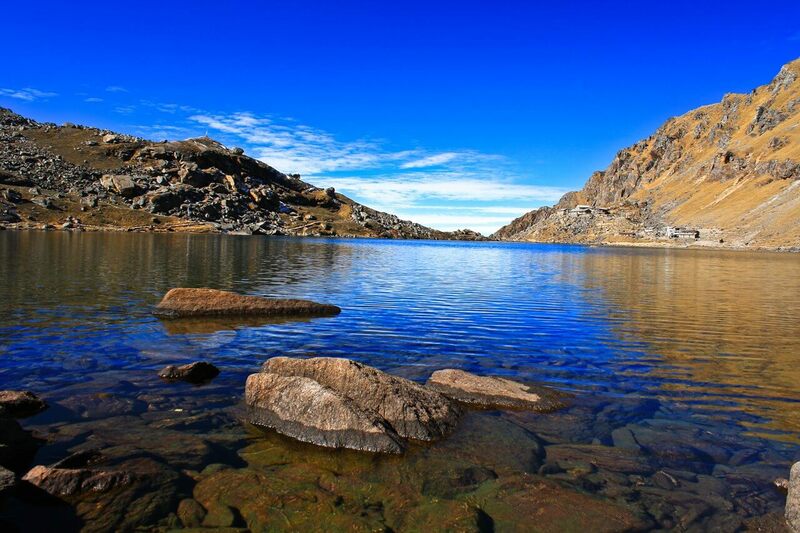 From Gosaikunda, we walk along the lake shore and then ascend towards Lauribina pass. The path is rough as we cross moraines and three more lakes before reaching the pass. Then, we climb up a hill and then pass the Surya Kunda to finally reach Ghopte. We spend the night at an elevation of 3440 meters. We make a short and easy climb on this day. Our trail passes through dense forests as we walk uphill and downhill till we reach Tharepati village. We spend the night here at an elevation of 3640 meters. From Tharepati, we walk along up and down trails passing through streams and forests. We ascend and cross a pass at 3510 meters. After enjoying the views of Langtang and Gosaikunda peaks at Yurin danda, we make a steep descent through rhododendron forests to finally reach Gul Bhanjyang. We ascend through forests to reach the ridge of Jhogin danda. A steep 200 m descend from here takes us to the village of Chipling. We go down steep switchbacks to reach the village of Pati Bhanjyang. From here, we cross meadows and fields on a leveled path to finally reach Chisopani. From Chisapani, we make a gentle ascent through rhododendron and oak forests to reach Borlang Bhanjyang. Then, we descend down to Mulkharka, a Tamang settlement with excellent views of Kathmandu valley. From here, we descend for a while to reach Sundarijal, then we drive to Kathmandu via bus or car. It takes about an hour to reach our destination in Thamel, We can relax or explore the tourist hubs in Kathmandu. We spend the night in Kathmandu. All your standard meals like, Breakfast / Lunch / Dinner, during the trek. Equipment like sleeping bag, Down Jacket & needed things etc if you do not have your own. All ground transportation by bus or Jeep as per you need. A Guide, food, Transport, Accommodation, Salary, equipments, e.t.c. All paid. Porter if you need. -Monastery fees. Inform to your Embassy about you’re traveling in Nepal if needed.